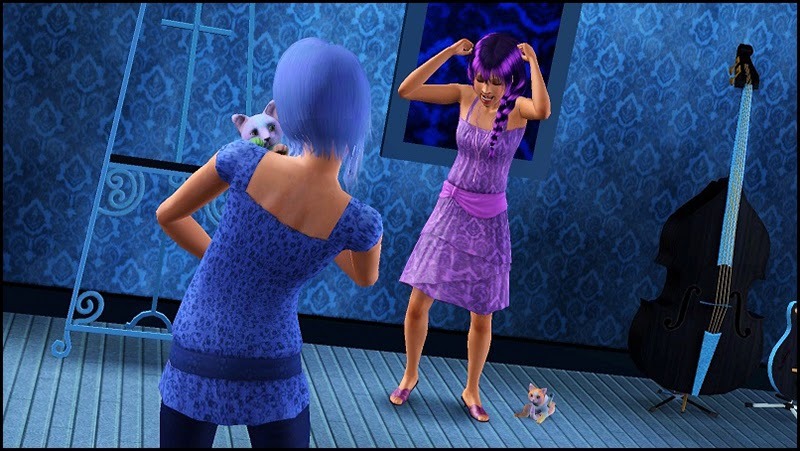 "Oh my gosh..." I stutter and then squeal, "Kittens?!?! In front of me is my beautiful cat, Kiara and next to her are "One, two, three, four...." I count. "Five; there's one over there." Luke notices. Luke and I pick each kitten up. They are so cute! "Oh my gosh, wait until the kids see this. I suppose we should wait until tomorrow to let them know, otherwise they'll be all over them," I suggest. Luke nods in agreement. "Then we should find homes for them right away," he adds. Unfortunately, I know him all too well and I can't help but notice how attached he seems to be to the kittens. Even tough guys crack sometimes, I suppose. That night, the kittens all curl up next to their parents. 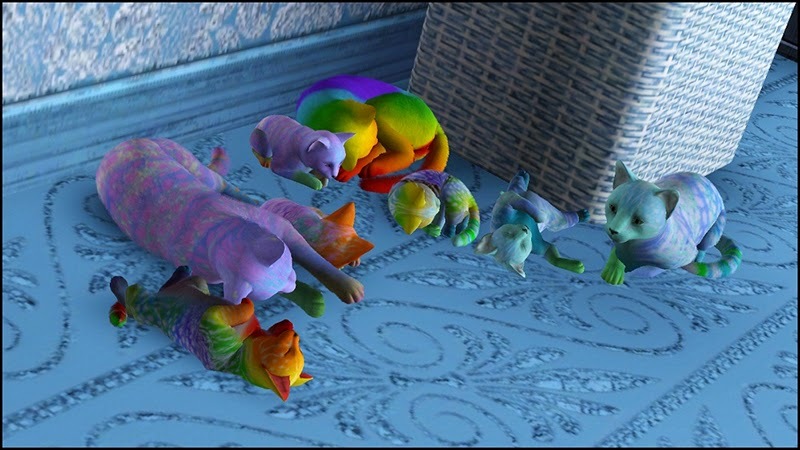 It seems as though Kiara had kittens with both Midnight and Prism (Just an FYI, it is not uncommon for female cats to mate with multiple male cats). 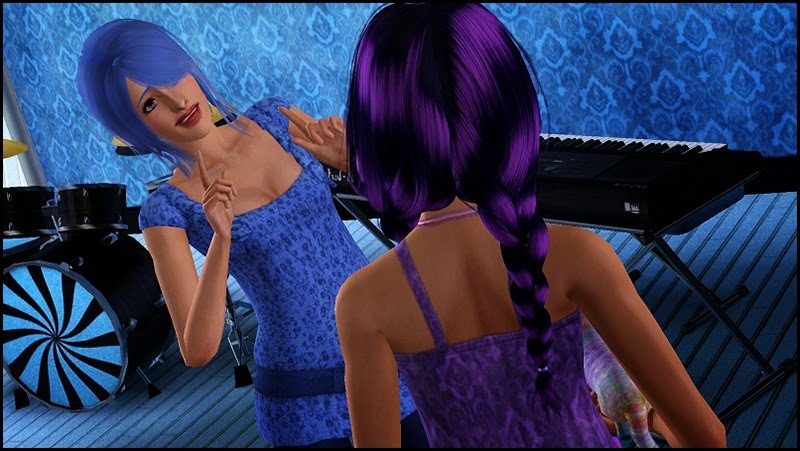 After finding out about the kittens, Hadleigh ages into a confident, young adult. She meets the kittens briefly and hugs each of them before leaving. 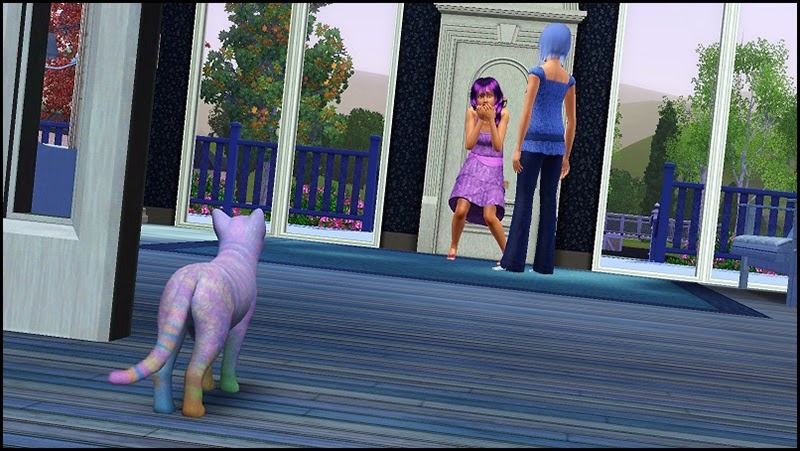 After Hadleigh left, the other kids' attention go straight towards the new kittens. "This one looks just like Prism," Izzi exclaims. "I wanna train this one to kill bugs," Ash thinks aloud. 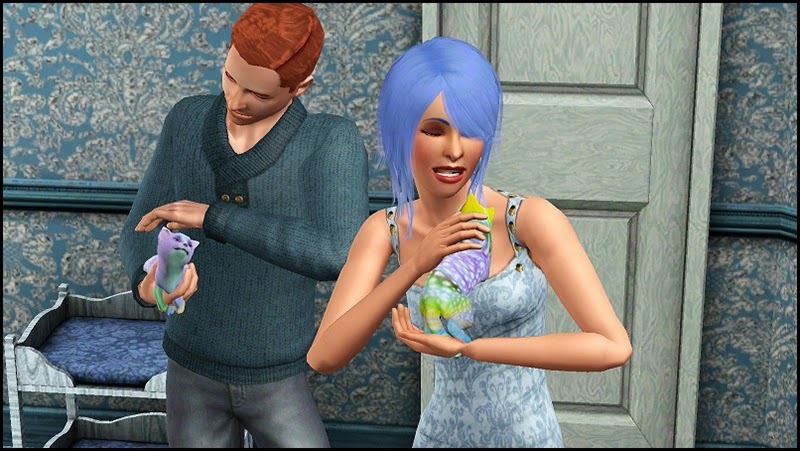 Even the teens are happy to take care of the new additions to the family. 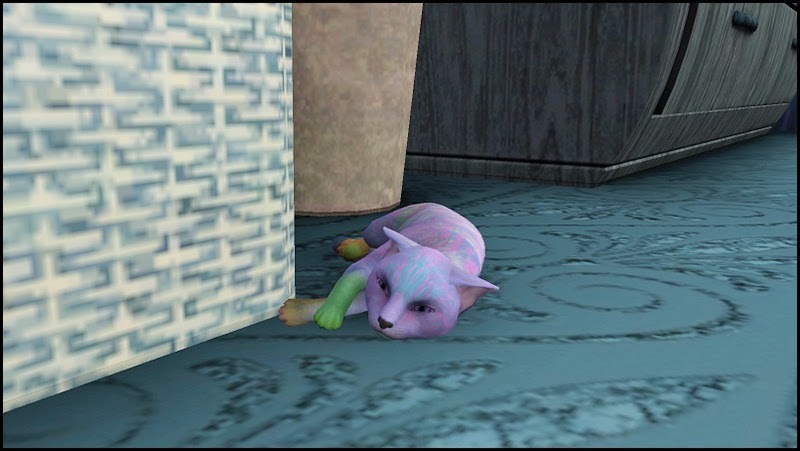 I even get Spring and Cyan to promise to clean the litter box for as long as they live here. With the kids' help, we name the kittens. After taking them to the veterinarian's office, we discover that the first three kittens are Moonbrow's and last two are Prism's. The oldest kitten is who we name Brite. He is the only kitten to get Kiara's rainbowy fur and his father's green eyes, which makes him unique and a definite mama's boy. Aura, is the next kitten. She got more of her father's looks with her mother's yellow ears and eyes. We soon find out that Aura is extremely tolerant of little kids, which will make her a great kitten for a young family. 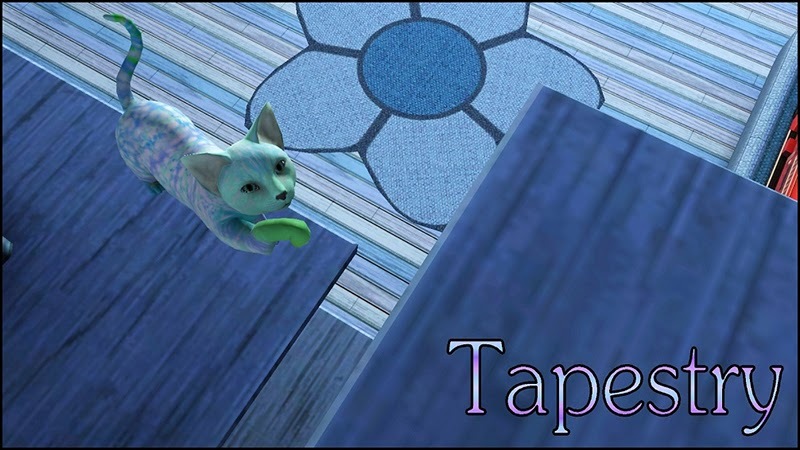 The last of Moonbrow's kittens is the third kitten, a boy named Tapestry. He has all of Moonbrow's looks and unique blue-green eyes. He's definitely the most adventurous, daring, and active of the litter. 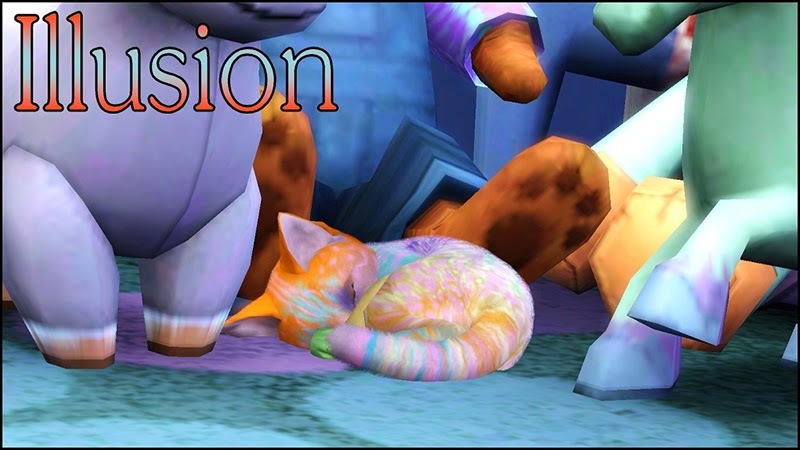 Illusion, a boy who is the first of Prism's two kittens, has more of his father's looks with his mother's orange head and strange mix of his parent's eyes with one green eye and one yellow eye. He loves to blend in with the kids' stuffed animals and sleeping is probably his favorite past time. Of course, all cats love to sleep but he sleeps even more, if there's such a thing. Isis is the last of the kittens to be born. She is a complete copy of her father except for those beautiful violet eyes. She is definitely the kitten with the most attitude, but her siblings help to keep her on track. On most days, though, she is quite the sweetheart. Shortly after the arrival of the kittens, I call my friend Laura Johanson over. Recently, she's been having boy trouble and she recently lost her twenty-fifth baby due to an ectopic pregnancy so, being the great friend, I decided to put even more stress on her by introducing her to some of the new kittens. She's very afraid of cats and I just want to see if spending some time with some kittens will allow her to see that cats are not scary at all. I call her and she agrees after I bribe her a bit. She comes over the next day. Just as she walks in, she immediately freaks out and I look to see why. 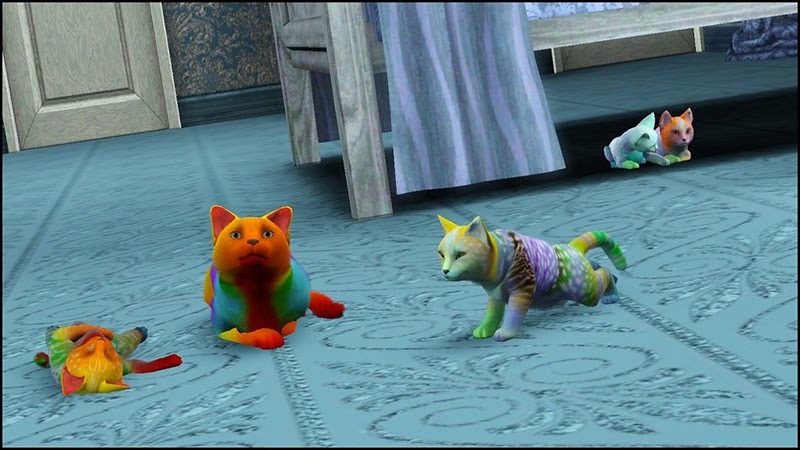 Oh gosh, why didn't I think to maybe lock the cats up before exposing Laura to them. Now she's probably even more afraid. Quickly, I call Luke who helps me to round the cats up. We put them in the nursery until only two are left roaming around the house. I leave out Illusion because he's very calm and the perfect kitten for Laura to meet. Prism is nowhere to be seen so I just brush the thought of him off. Of course, right when Laura starts to calm down, she panics again. I look in the direction of her frantic eyes and there's Prism. He was probably outside and must have come inside hearing Laura's shrieks. "Shhh, Laura, it's okay," I console her like a child. She lays her purple head on my shoulder as I wrap my arms around her. 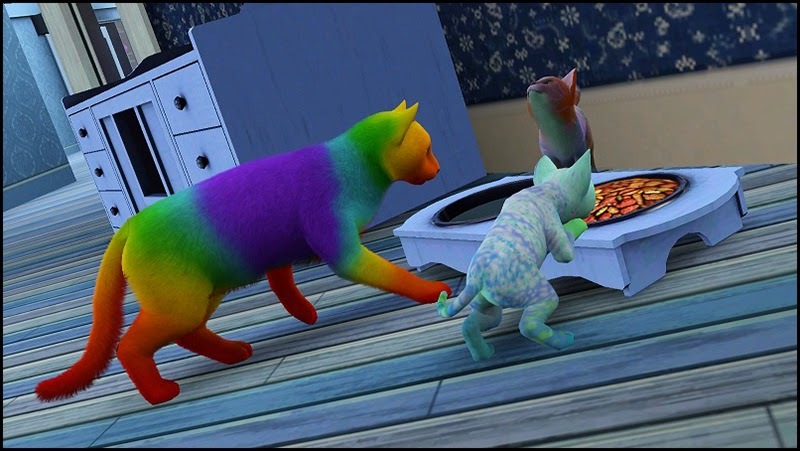 I grab Prism and just barely manage to put him into the nursery without the other cats escaping or pinching any paws in the door. She nods, silently, still traumatized by the whole ordeal. This is not going well. Finally, after a cup of tea and a sliver of pumpkin bread, Laura agrees to meet Illusion with me. Like I said, Illusion is a very mellow kitten and since he sleeps a lot, he's likely to behave well for someone as jumpy as Laura. 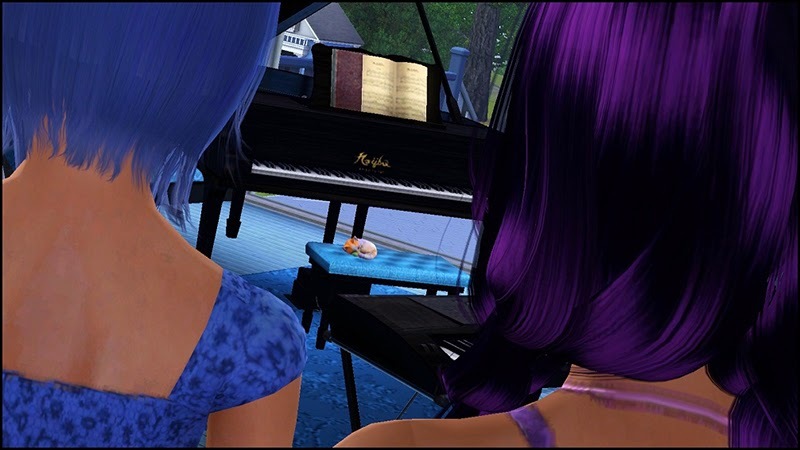 We find him in the music and art room, sleeping on the piano bench. I walk over to him, leaving Laura waiting by the door, and he jumps off the bench to greet me. His motor starts running before I even lay a finger on him. Gently I pick him up and turn towards Laura. "What's that noise?" She crinkles her brow. "He's purring. He loves to be held and petted," I explain. 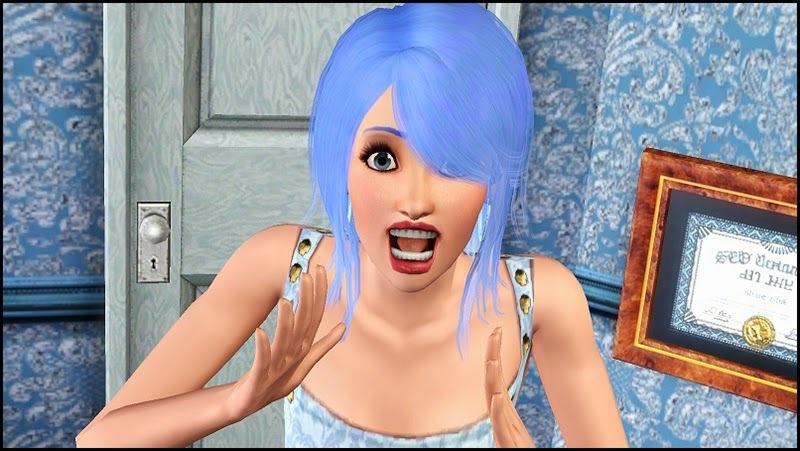 Her face expresses a mixture of confusion and fear. "I-I thought cats never really, purred. At least, I've never really heard a cat purr for a very long time. 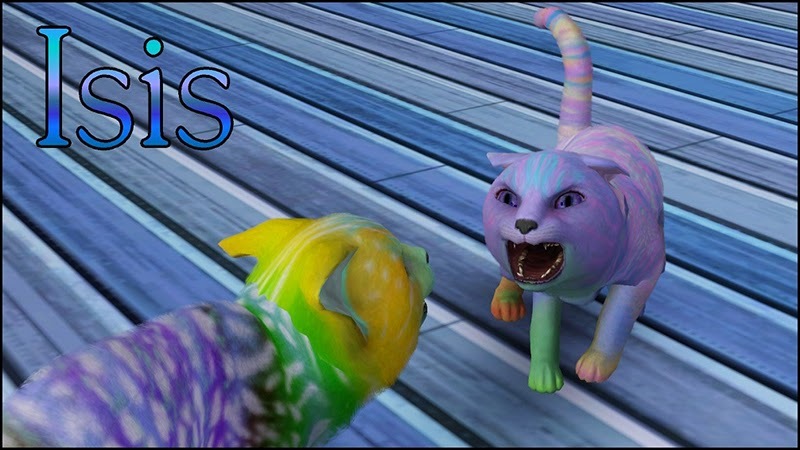 It seems as though every cat I've met just hisses at me." She sighs and waits for me to speak. "Come here and pet him, he's very friendly," I coax her like a puppy. She stands there and fiddles with her fingers, picking at her nails. "Um, okay..." she says slowly. Tentatively, she walks over to me and reaches her hand out slightly. She takes a deep breath and reaches even closer. Almost touching my hand which is petting Illusion. "You can do it," I whisper. She closes her eyes and touches Illusion's silky head. Her face immediately changes from fear to calmness as she continues to pet Illusion gently. "Oh god, he's not hissing!" She realizes with wonder. I set Illusion down and Laura lets him sniff her hand. 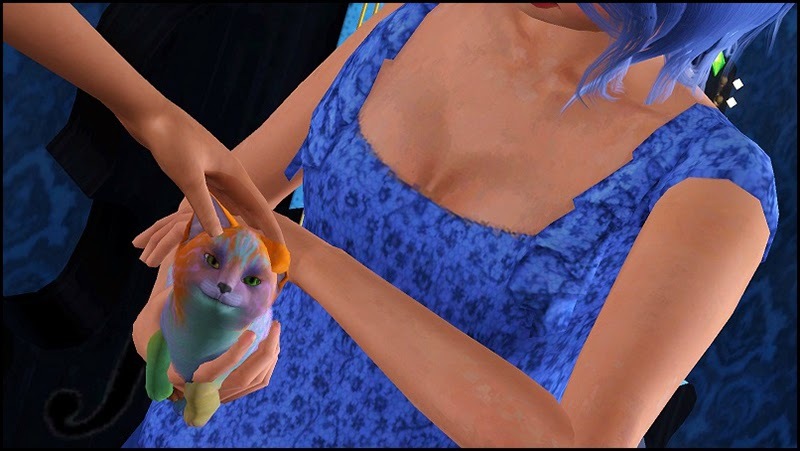 Then she picks up the little kitten and pets his head. "You go girl!" I celebrate and give her a high five. She smiles and I feel so proud of her. "I think I'm ready for the big cat," she says. 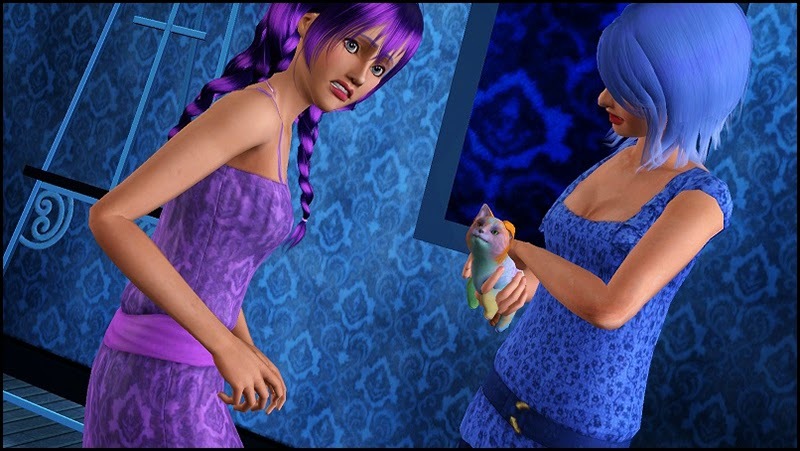 I bring in Prism since he seemed to have interest in this tall purple creature earlier. Laura is very enthusiastic. She holds him and pets him. Surprisingly, he acts on his very best behavior and nothing goes wrong. Laura spends all afternoon with the cats. She even lets all of them climb over her, claws and all. Before she leaves, she gives a big good-bye hug to Prism. "Bye bye sweetie pie," she coos before handing him to me. "Calista, either you're a miracle worker or I'm not as afraid of cats as I thought. Hehe, personally I think it's the first option but you never know." We both laugh and she continues. "Anyway, I want to thank you so much to helping me overcome my fear of cats. I don't know why I was so afraid of them. They're sweet as can be and perhaps I can get my own cat now. I know the kids would love that." "Laura, you're one of my best friends, I can't help but help you out," I say. Then we hug, squishing Prism in between us. He yelps and jumps out of my arms and Laura doesn't even flinch. "Grumpy guy, isn't he?" We both laugh and then she walks out to her car and drives away, waving as she leaves. 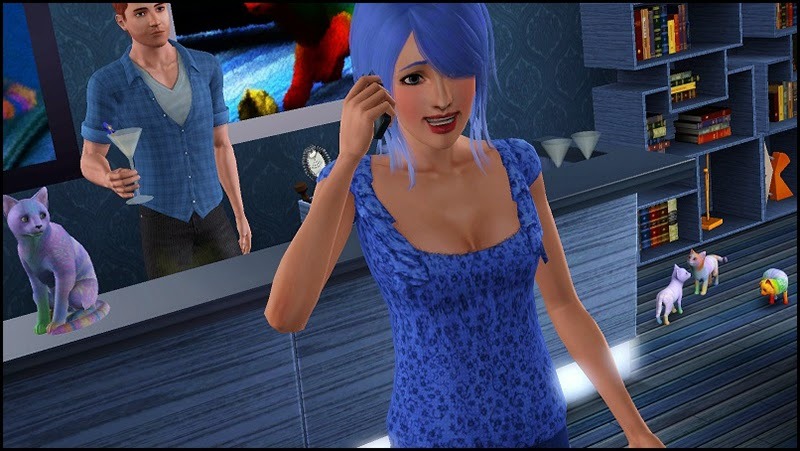 Thanks to Izzi for helping me name Brite and Tapestry and for Amanda for letting me have her sim, Laura Johanson, in my game. I enjoyed curing her phobia (and I do realize that phobias in real life are not so easily cured). 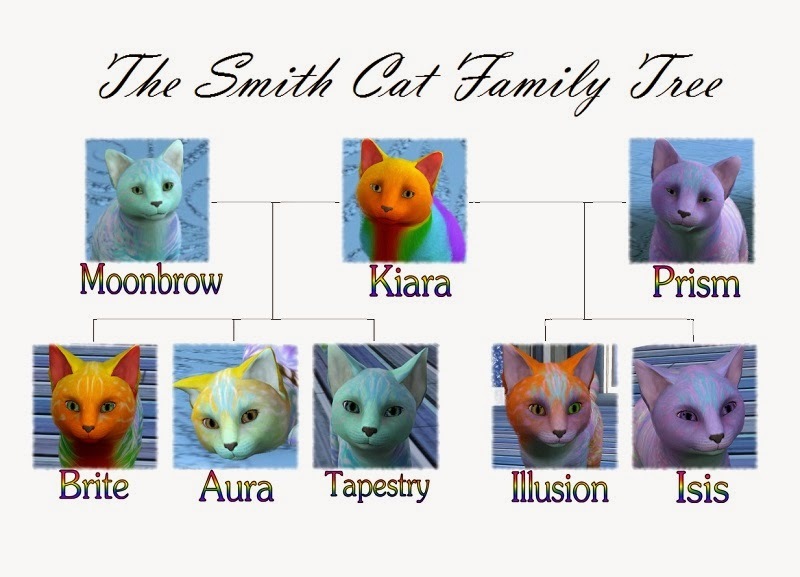 Also, here's a cat family tree that I made of the kitties in case you were confused. And lastly, I'd also like to let you guys know that four of the five kittens are going to be put up for adoption. 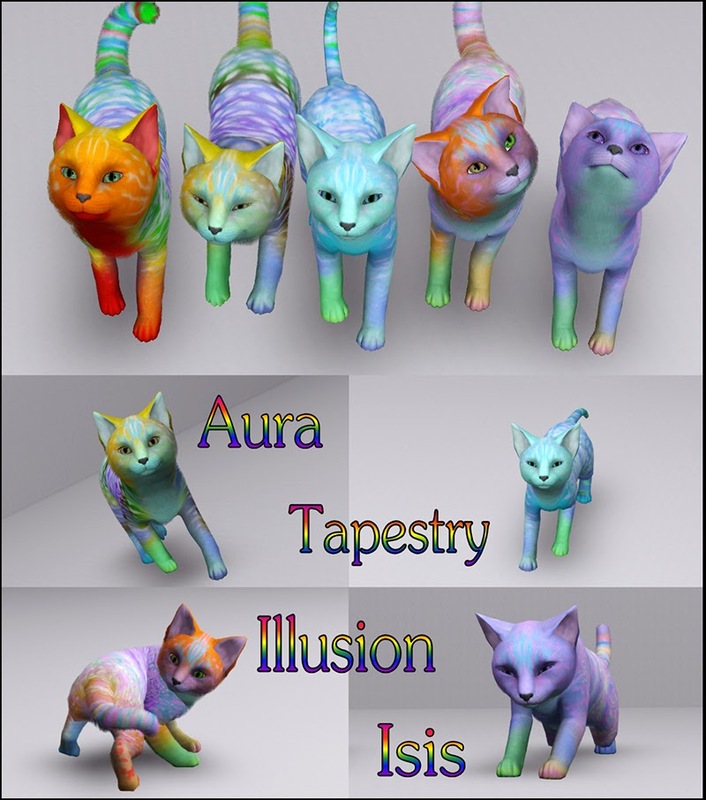 I've decided that Calista will keep Brite but the other four (Aura, Tapestry, Illusion, and Isis) will be put up for adoption (and if no one adopts them, I'll just have other sims in my game adopt them). So, shoot me an email or reply in a comment if you would like to have a kitten and I will email you a download link. Remember, first come first serve. Yes, add more stress to relieve stress. I like it. That makes me feel a lot less guilty about what I'm about to do to Laura in the next post. 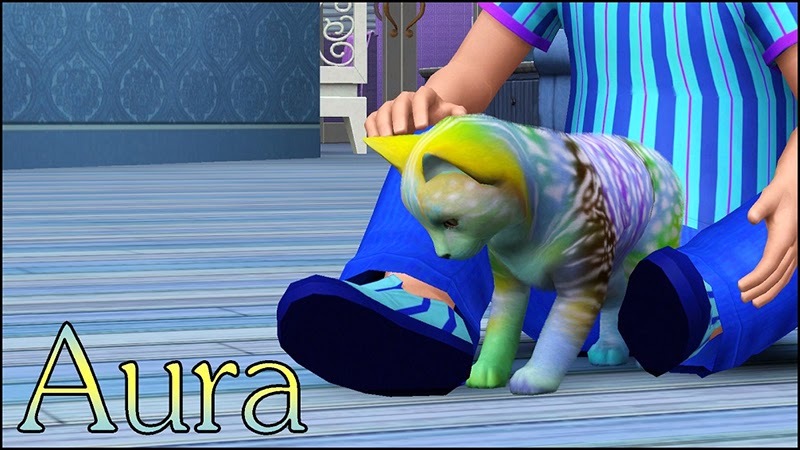 I would totally take Illusion if I had room, not just because he was the cat to cure Laura of her phobia, but also because he's ADORABLE!!! But I promised myself that I would only have 3 pets per house. Of course... 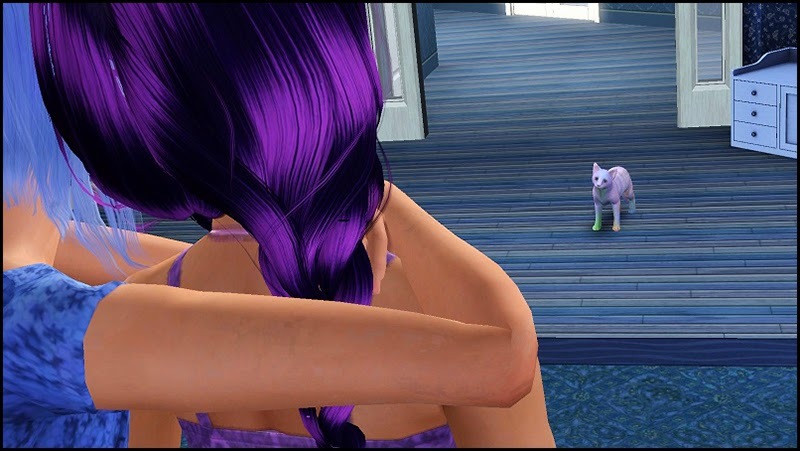 The kitty isn't going to be mentioned in the pet and house post. I was planning on introducing her later. Thank you for using Laura (And getting rid of her phobia.). Anyway, the kitties were SO CUTE! EEEP! I loved their colors and their names! Loved the post! Oh my god! I want a kitty. I don't mind which. So yeah, I have dibs on any of them. Except aura, 'cod Dessie wants her. If you don't really mind, could I have.... either Illusion or...Isis? What an amazing post! I love love love it. And the kittys. But you know that. Holy moses, that's a lot of cats! That's about all I can say..LOL Good post as usual! omg! Becks and Jed would love to adopt one of the kittens!!!! their current kids just LOVE illusion and Tapestry!!! (Becks admits that she is more of a cat person than a dog person, and sadly, Bananas is getting old :( ) amazing post! i LOVE all the kitties that you have!!!!!!!!!! The kitties are so cute! Are they all taken already? Great chapter as usaul!!! 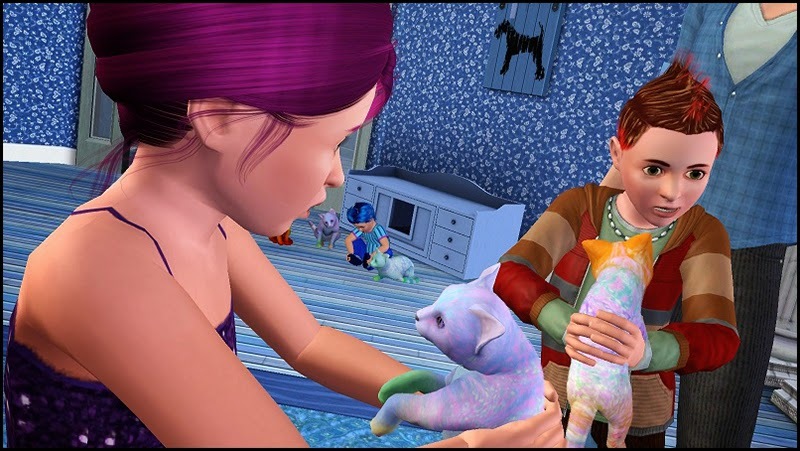 Are the kittens taken cause I was hoping for Illusion!! Wow I had no idea pet genetics worked like that, looks great! 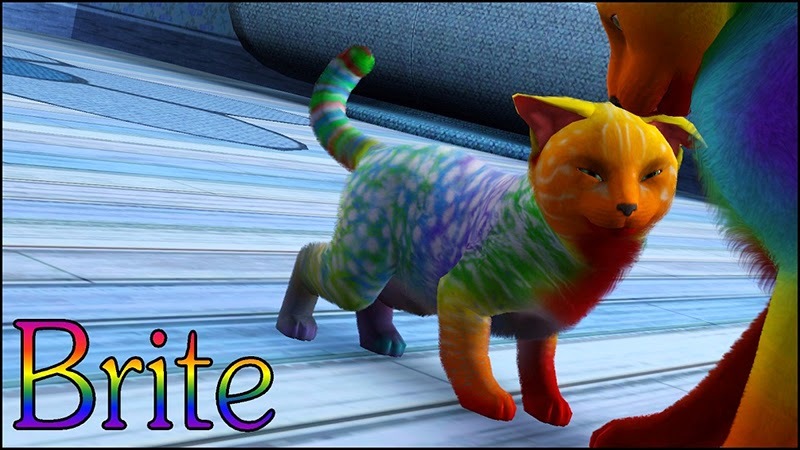 I need to get the pets expansion!